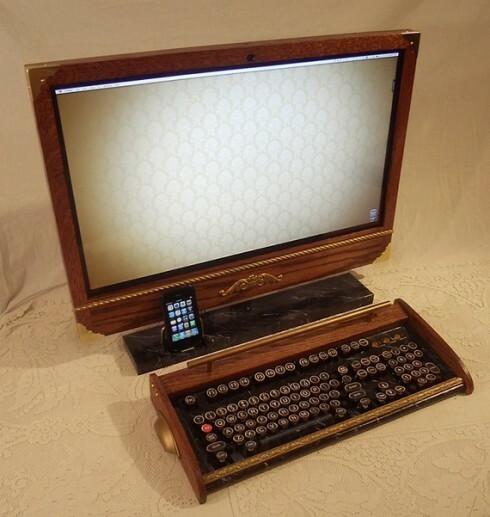 Tired of that sleek, modern looking iMac of yours? You can always slip on this one-of-a-kind vintage victorian wooden cover and go back in time. It comes complete with a matching Apple keyboard trim cover (not shown) for $299.